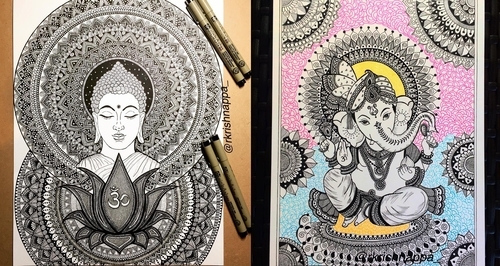 Doodles, Mandalas and loads of patterns using pens. 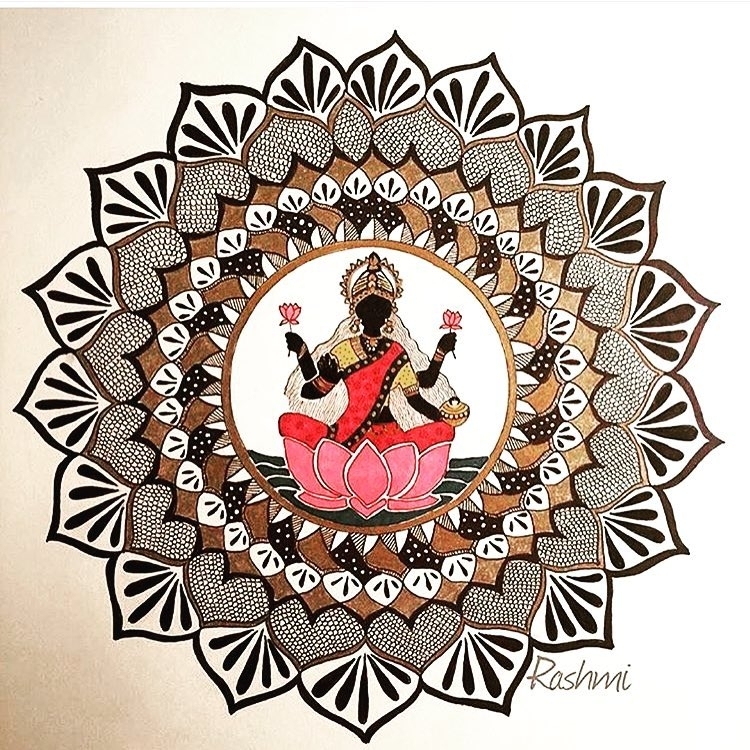 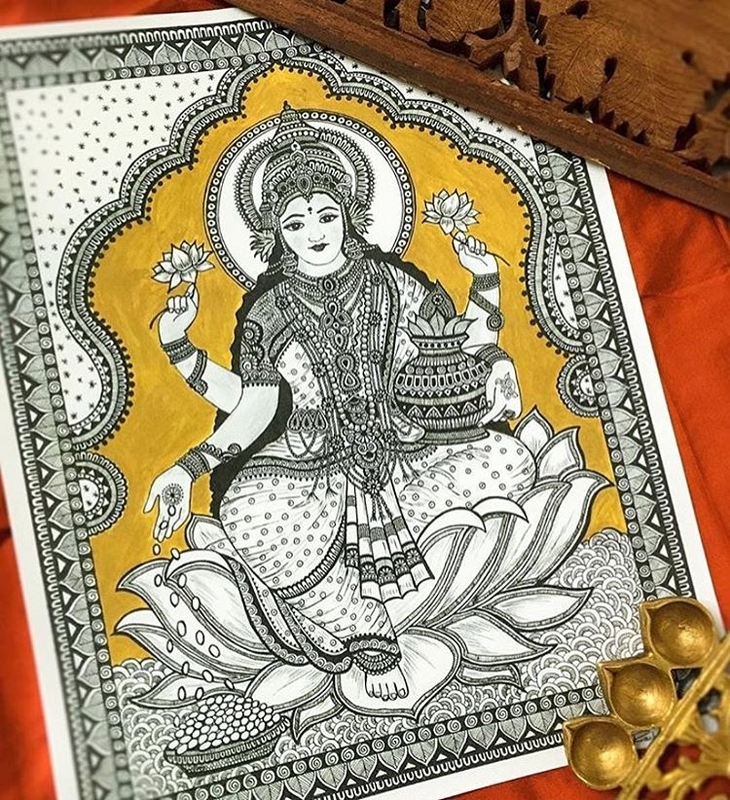 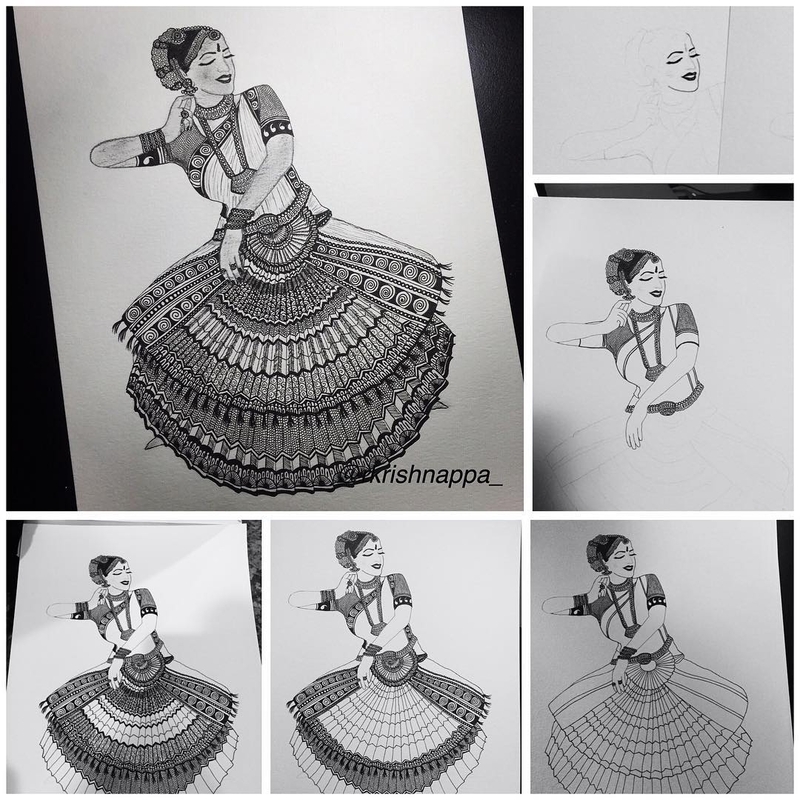 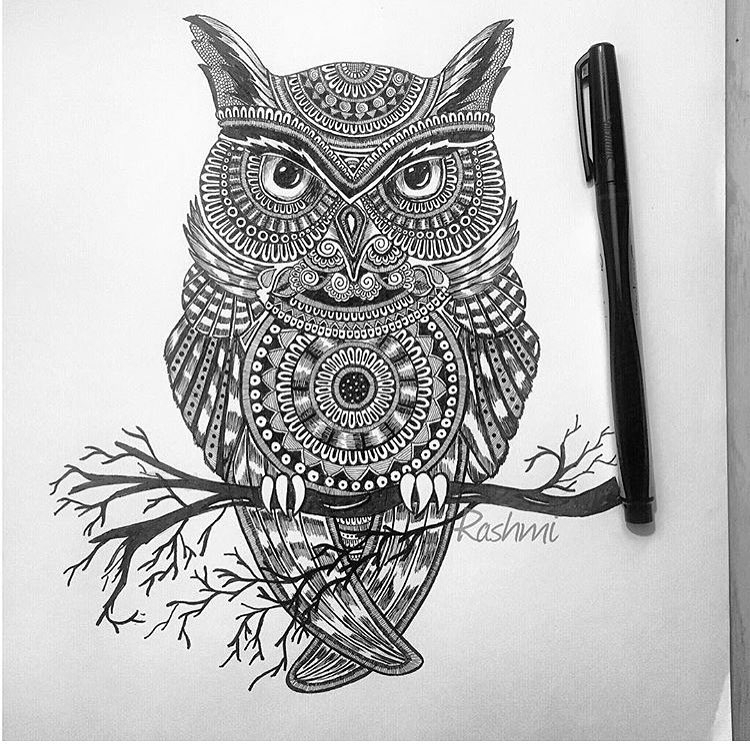 Self taught Artist Rashmi Krishnappa loves pattern drawings, this comes through loud and clear in her lovely drawings. 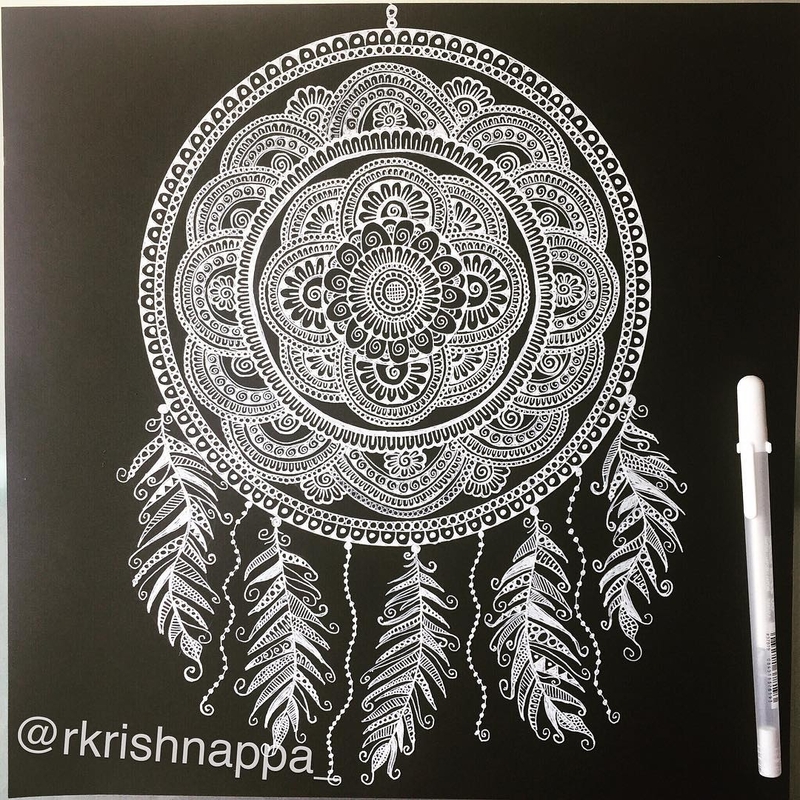 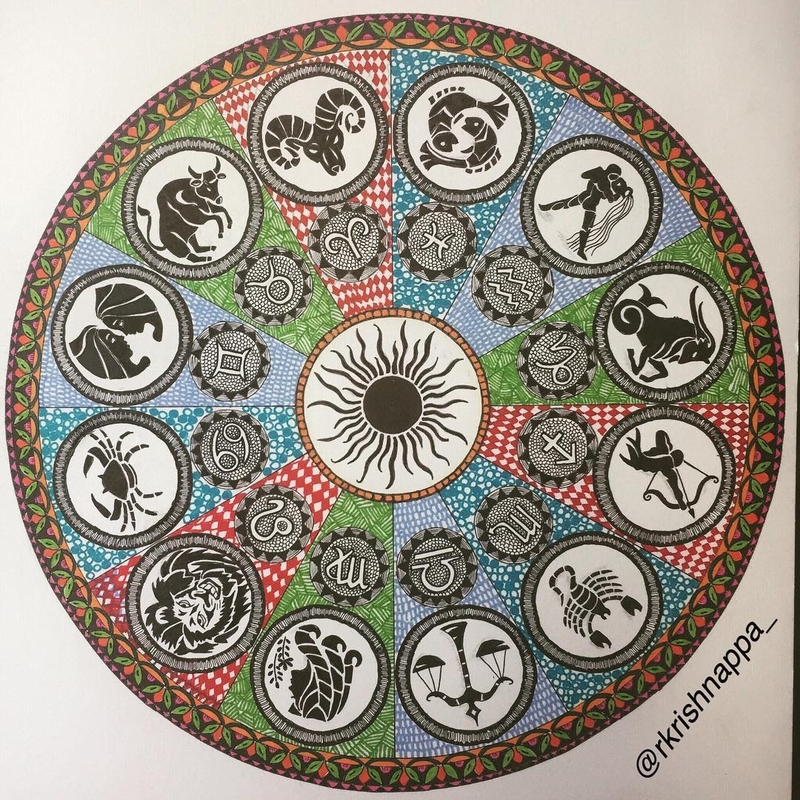 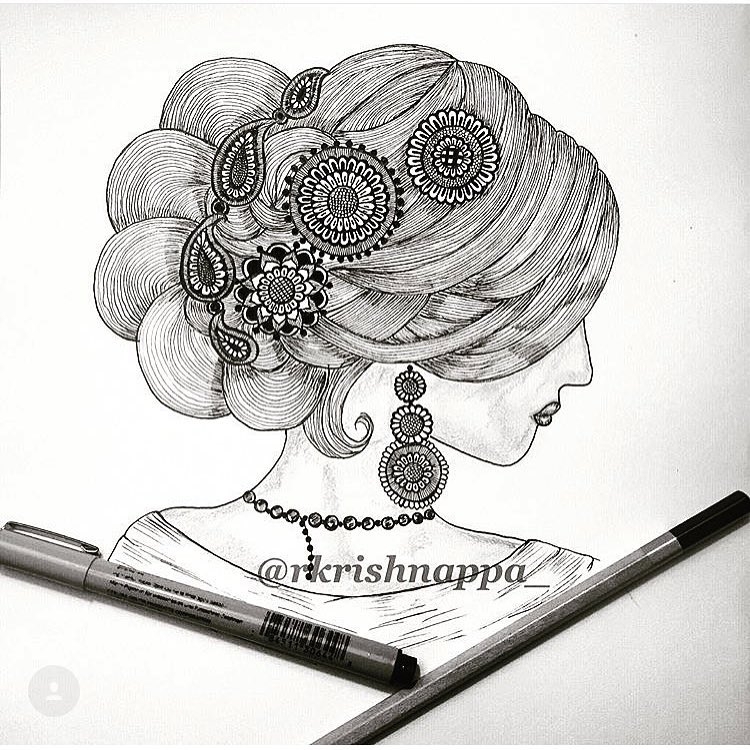 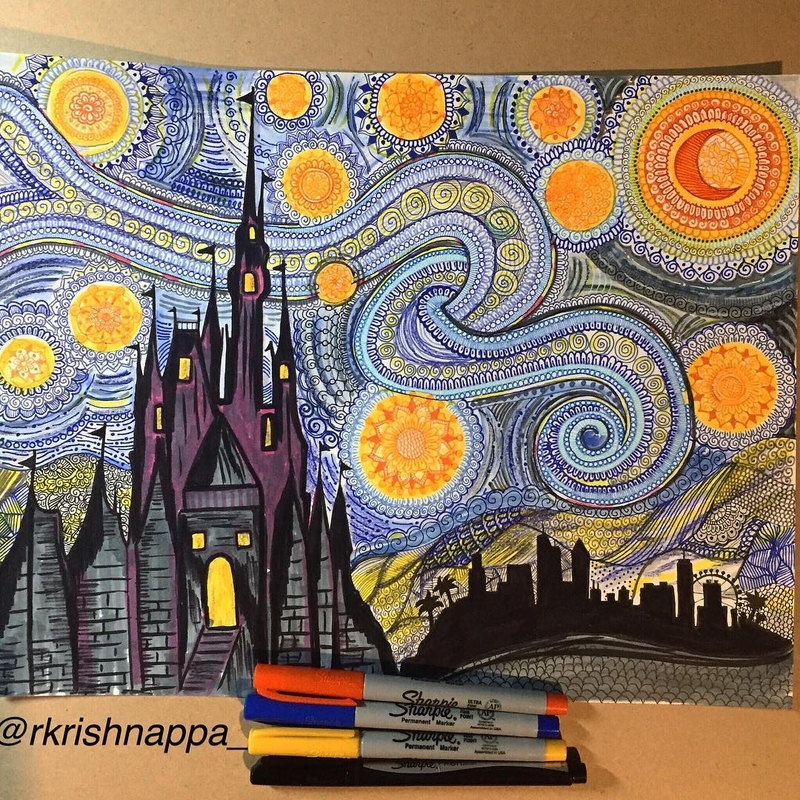 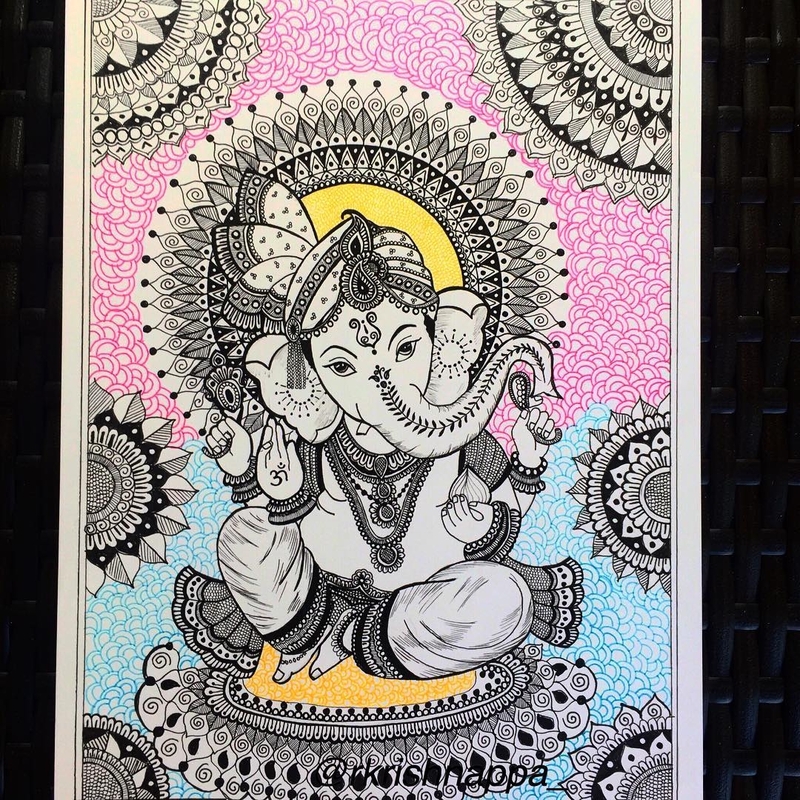 In her Bio, Krishnappa explains how her work is inspired by zentangles, doodles art and madhubani (In the Mithila region of India and Nepal. 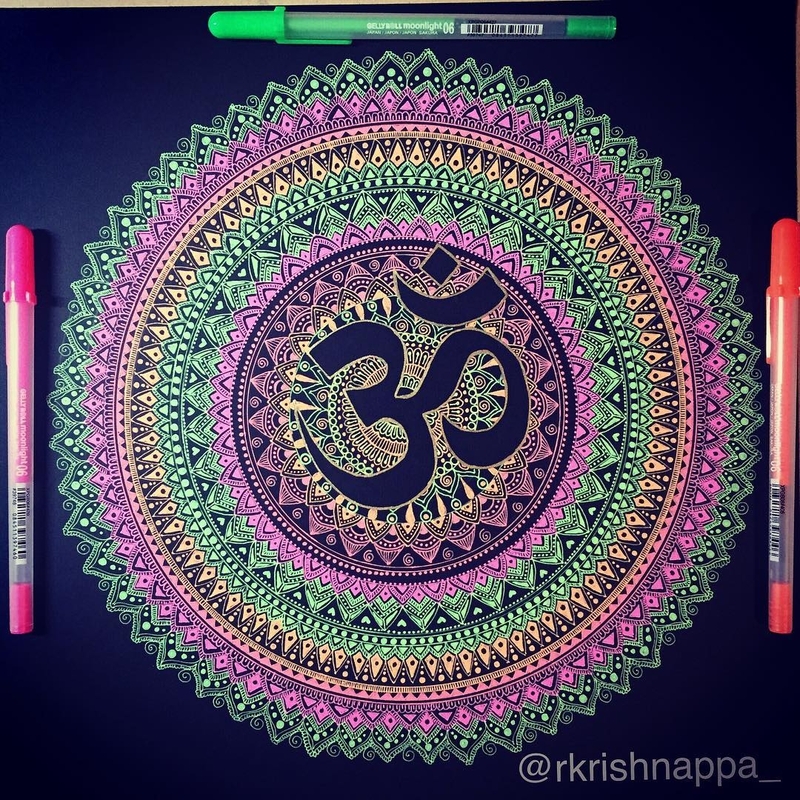 Painting is done with fingers, twigs, brushes, nib-pens, and matchsticks, using natural dyes and pigments, and is characterized by eye-catching geometrical patterns - definition via wikipedia). 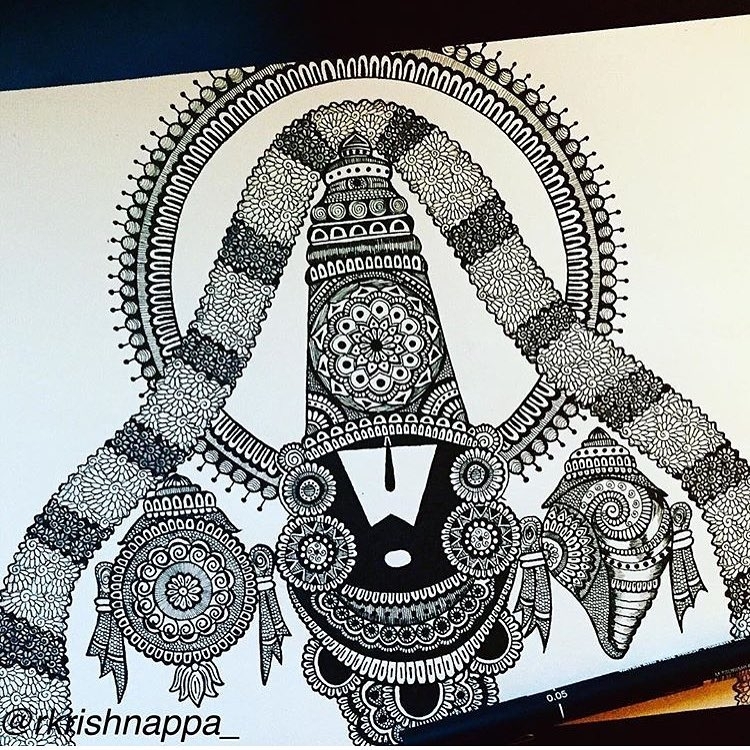 This is a quote from the artist "Resumed drawing after a gap of over 20+ years. 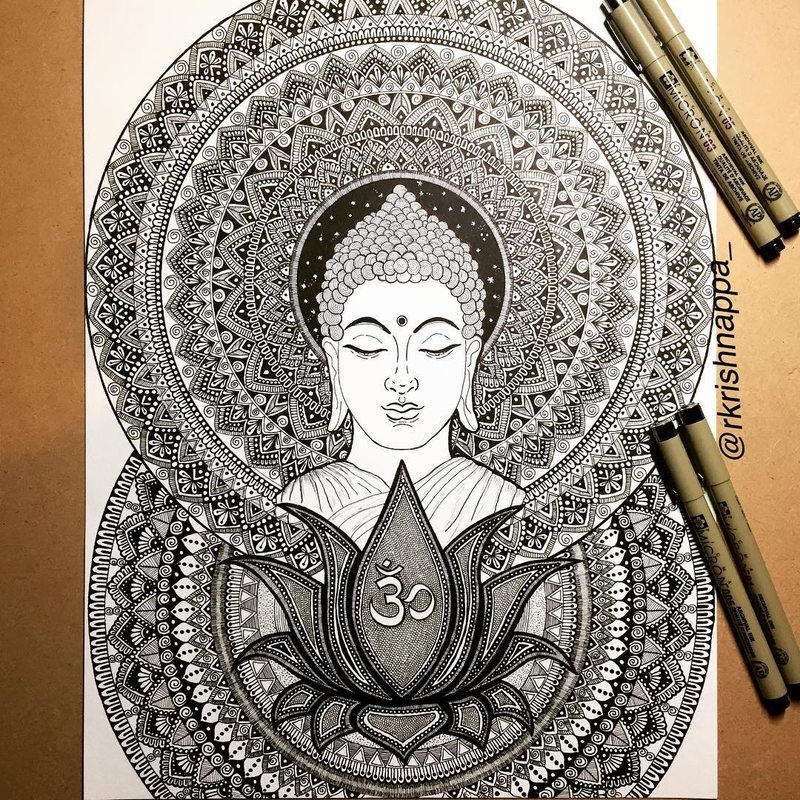 Drawing is like meditation, yoga to my brain." 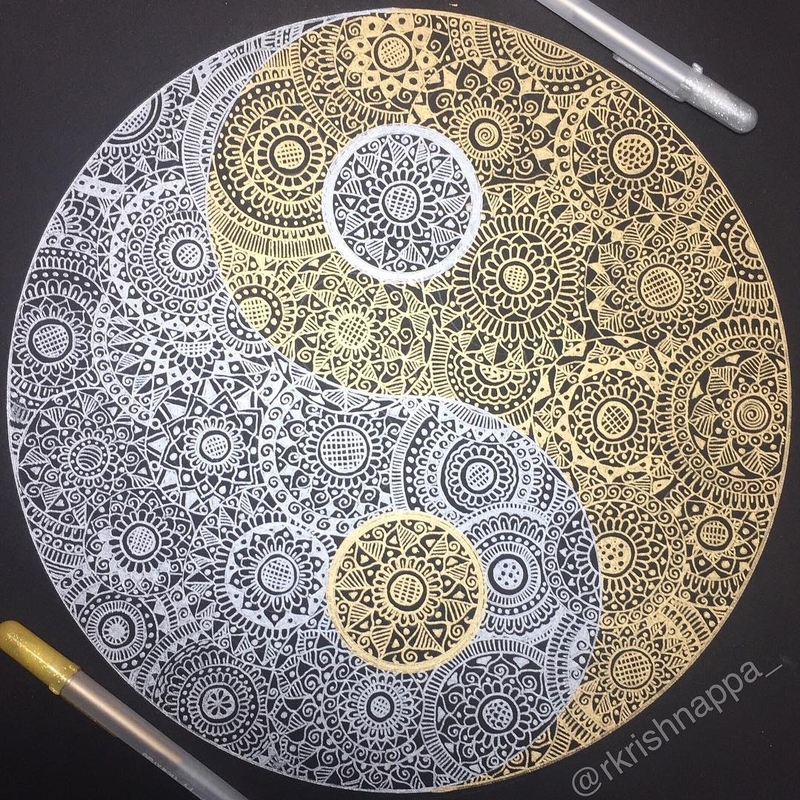 Gold and Silver Yin and Yang.